At some point you will need to review your “Inbox” and decide what all those documents mean to you. I suggest setting up a set time each week to review and clean up this folder. If you don’t review this “Inbox” you end up with the same disorganization that you had on the desktop, but now it just resides in a folder. Sometimes we need a little help with this process of Desktop Zero. As shown in the video I use three programs to automate this process. (See below) You don’t need these applications for Desktop Zero. In fact, you can do all this manually. 1. 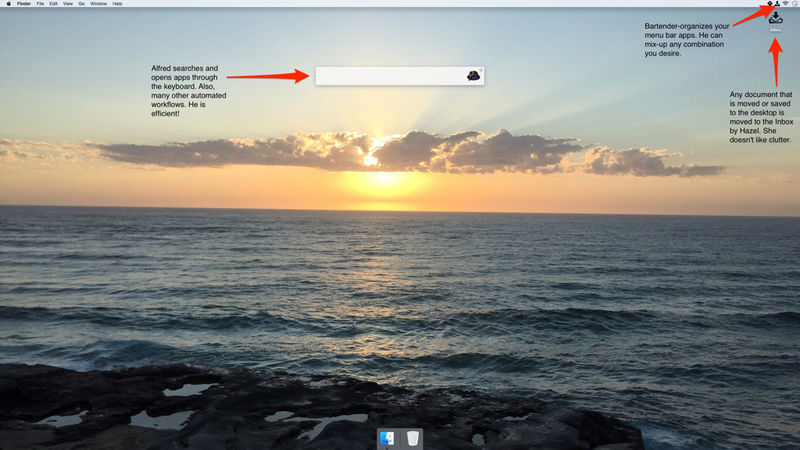 You can use “Spotlight Search” that is built into the new Mac operating system for opening applications. 2. 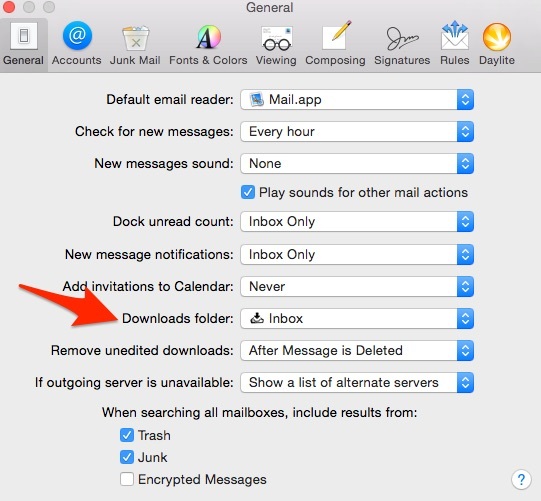 Click and drag documents into your “Inbox.” Point all downloads to this folder, as explained above. 3. 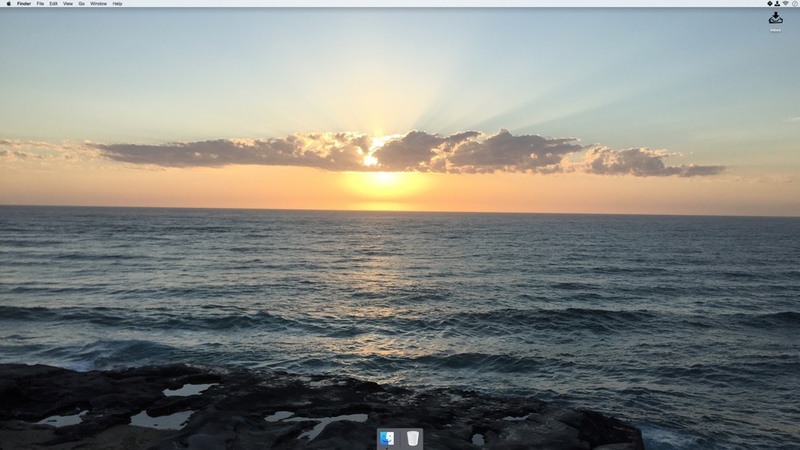 Remove dock icons for a clean and focused working environment, as explained above. 4. 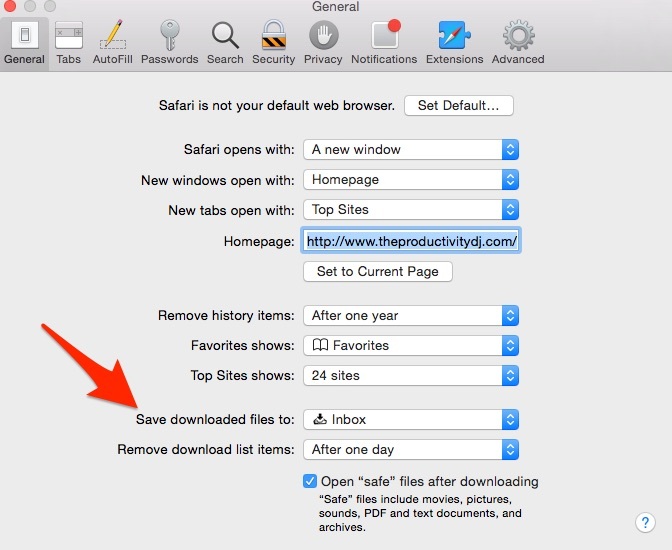 You can turn off all menu bar applications in the System Preferences, for a clean, uncluttered menu bar. 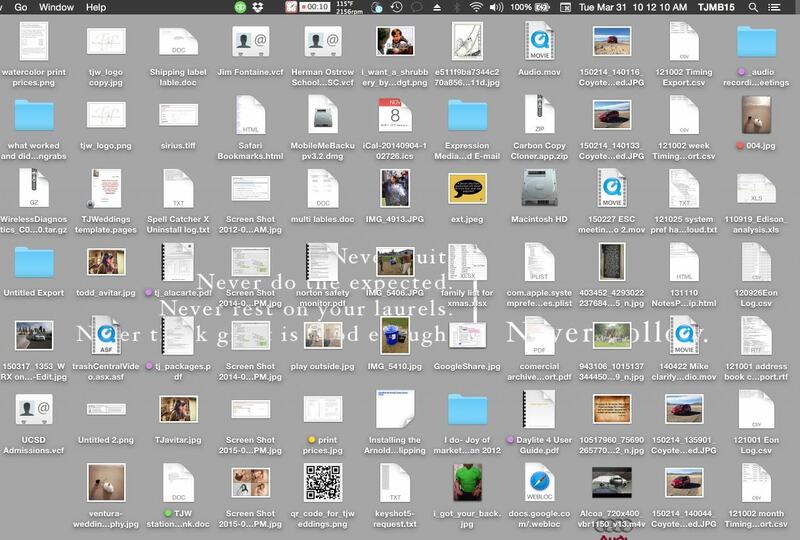 The benefits of Desktop Zero are not just looking organized. Just like your physical desk, everything in order doesn’t mean you are organized and effective. The point is to be focused on one task and have less distractions. A more technical approach with automation and $cost. 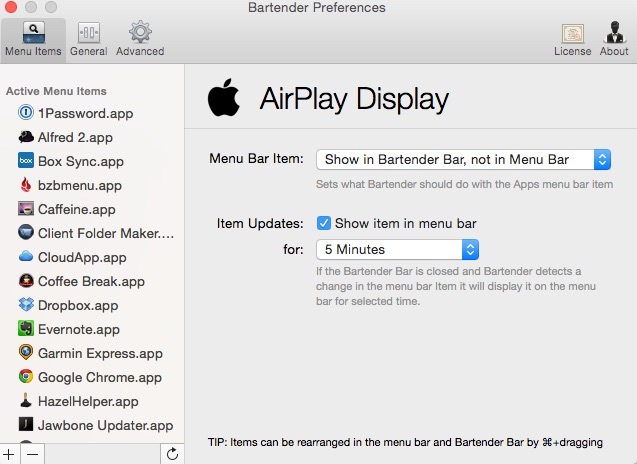 Bartender-hide and show menu bar apps. 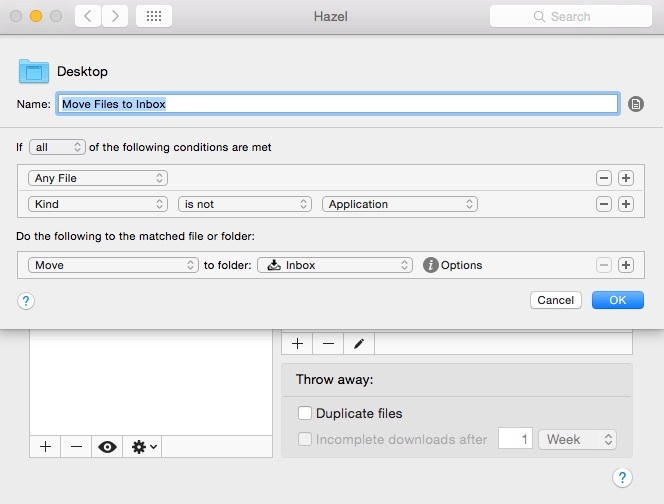 Hazel-automate actions for folders and more. 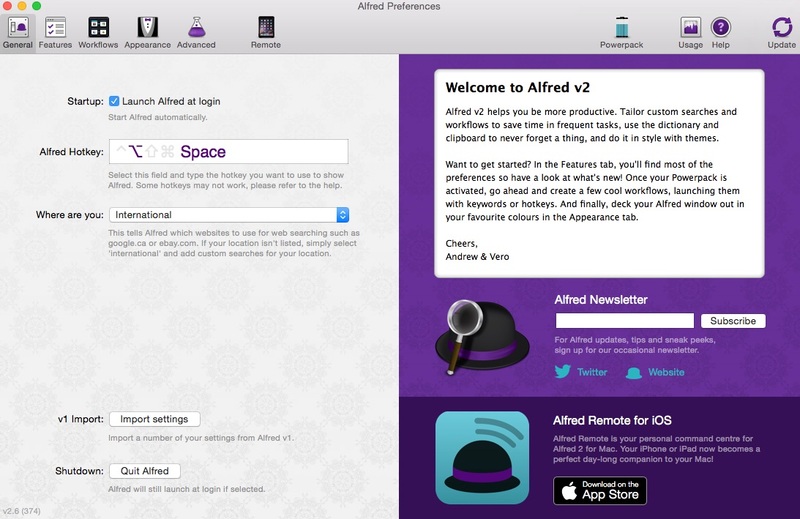 Alfred-Create custom workflows and searches. Also on iOS. I am looking for a workaround for events that occur on sporadic days so I can’t use the repeat function in the calendar. In Apple Calendar I can copy and event and paste it into the various days. Anyone know a workaround for that in Daylite?